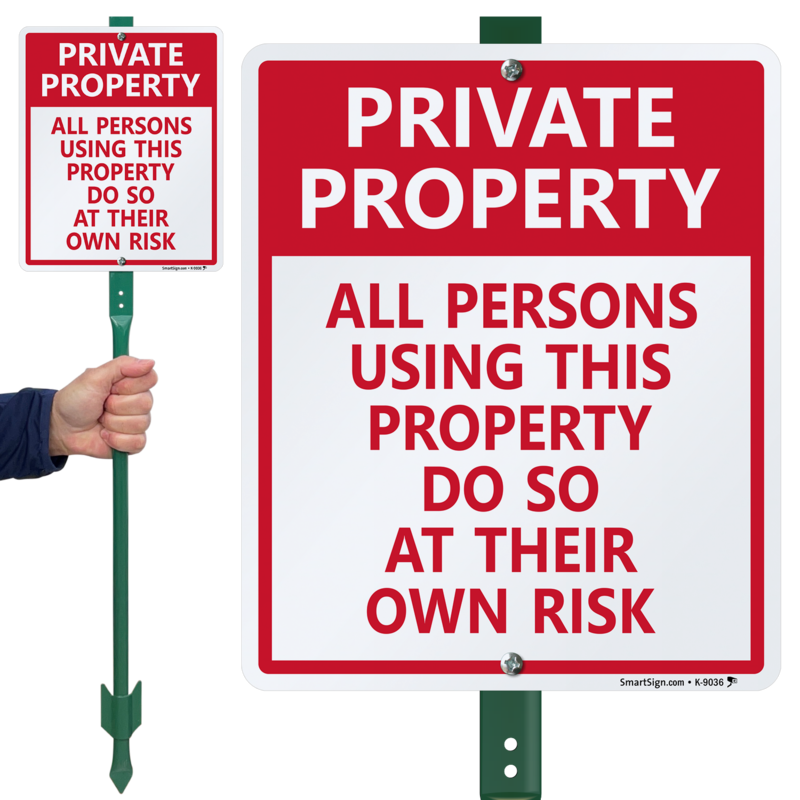 Don't let yourself be liable for someone else with this Private Property Sign. 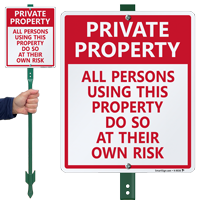 • Protect yourself and your property with this red and white aluminum sign. • 3M engineer grade film is reflective for high visibility. • Long-lasting and durable construction. 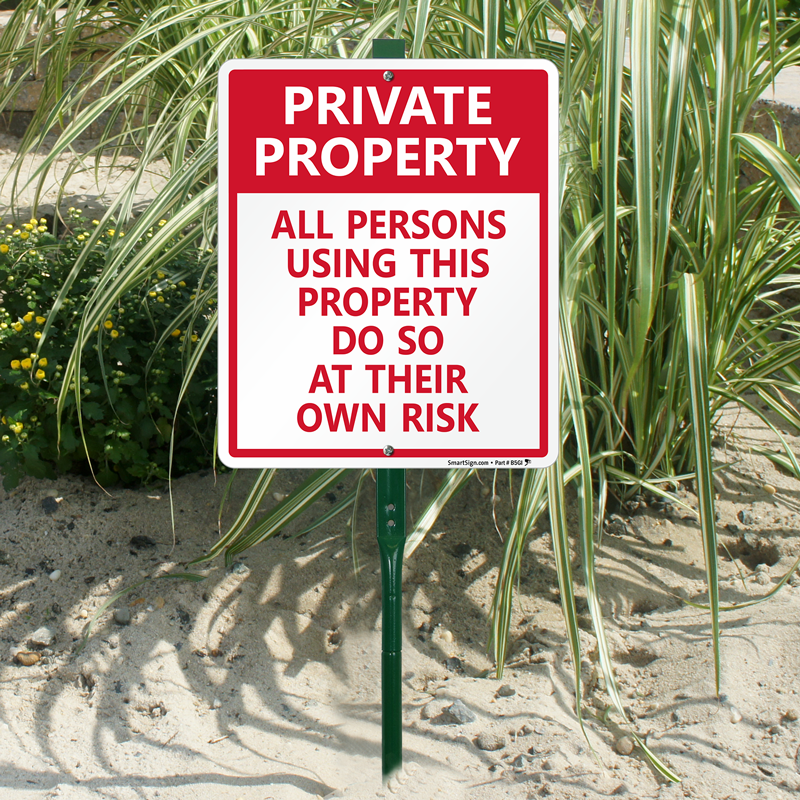 • Stake and bolts make posting this sign simple. 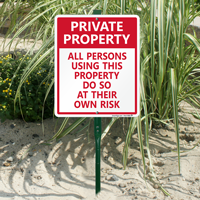 satisfied with original supply of these signs ordered, recently, so returned to purchase another group of them to place around our property. Are of good quality, and are easy to install. Signs are perfect but customer service even better. I received one wrong sign in my order and after a quick phone call to customer service the correct sign was on the way! Thanks for such a rapid response!